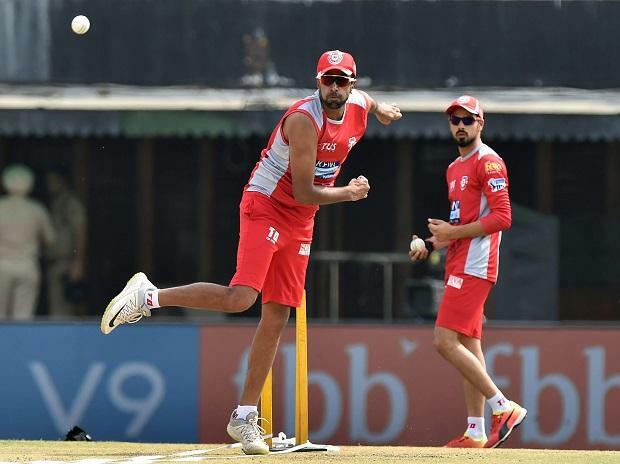 Steve Smith would still be a bit rusty and Kings XI Punjab would try to exploit it to their advantage, says skipper R Ashwin, who also reckons that it won't be easy comeback journey for the Australian. The spotlight will be on Smith when Rajasthan Royals' clash with Punjab on Tuesday. "We all know he is a quality player and must have worked and prepared hard during the break but comebacks are not easy. He must have put a lot of efforts for a comeback mentally. I am sure he would look to perform and on the other hand we would look to take advantage of his rustiness," said Ashwin. Ashwin himself is struggling to make a comeback to the Indian side and is likely to miss the World Cup bus with Kuldeep Yadav, Yuzvendra Chahal and Ravindra Jadeja doing a nice job with the white ball. Asked if he feels, he is still in reckoning for a spot in India's World Cup squad, he was a tad irritated. "I can't answer the question. Selectors have to answer that. But as far I am concerned I have played two World Cups. If I deserve and I am selected I would love to play," he said. When pointed out that he was deceptive a few years back but was sorted out and whether Chahal and Kuldeep could also meet the same fate, Ashwin said adaptation is key to remain strong. "Cricket now a days reveal all. There is lot of analysis and cameras can read out every movement of your fingers. The secret is to adapt to conditions. Look at Virat Kohli, earlier he was very strong on leg side but he adapted and now he is as strong on off side too," he said. Punjab coach Mike Hesson said big-hitting West Indian that Gayle is huge player for his team. "The way he batted in the last series against quality bowlers and took on the spinners shows that he still is a formidable force. He is an asset on the field and in the dressing room where he helps youngsters groom," said Hesson.